Maximum altitude gain 5,545m.at Kalapatthar. Everest Base Camp Luxury Lodge Trek is the opportunity to explore the nature and culture of the Everest region staying in the high quality lodges. This trekking trip is designed to give for those who want to make their journey to a foot of the World’s highest mountain, the Mount Everest in full luxury and style. In this trek you enjoy the natural beauty, stunning vistas of the towering mountains as well as the picturesque cultured villages scattered throughout the region. The views of the world highest mountain like Mt. Everest(8848m), Lhotse, Makalu, Cho oyu, Ama Dablam and many more gives the awesome experience to the visitors. The Luxury Everest Base Camp trek provides ample opportunity to the visitors to explore the culture and lifestyle of the Sherpa people, the major inhabitants of this region who are famous for mountaineering in the world and enjoy their culture enjoy as well as visit ancient monasteries. Besides this the world highest monastery of Tengboche, UNESCO enlisted world heritage site Sagarmatha national park, blooming rhododendron forest etc. are other attraction of this trekking trail. Everest Base Camp Luxury Lodge Trek begins with a scenic flight from Kathmandu to Lukla, which is the junction for the Everest region trekking. Everest Base Camp Lodge Trek start from Lukla, you following the walking through Dudh Koshi River valley. 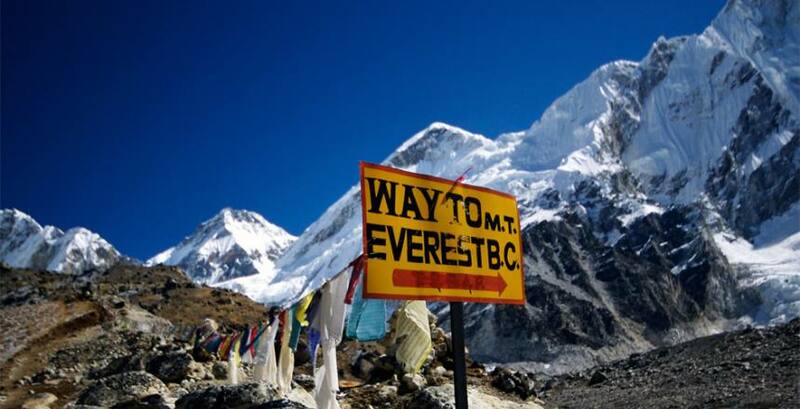 Everest Base Camp Lodge trekking trip provides the trekkers ample opportunity to explore the amazing destination and its impressive sight, which is beyond human imagination. In this trek you walk through the beautiful forest of rhododendron, pine and coniferous forest, beautiful Dudh Koshi valley, Sagarmatha national park. You also pass through the tall waterfalls; beautiful Sherpa villages like Phakding, Namche bazaar, Tengboche, etc where you can explore their culture as well as enjoy their hospitality. In Sagarmatha national park you can find various flora and fauna and wild life like snow leopard, red panda, Himalayan thar etc. 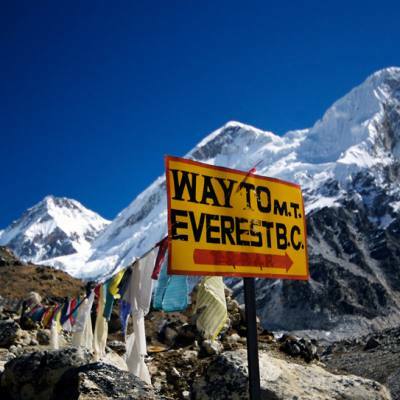 The best time to go for the Luxury Everest Base Camp trek is from mid-March to May and September to Mid-December. Accommodation in Tea House during the Trekking with luxury lodge. Two nights' Accommodation in Kathmandu 5 Star level hotel with bed- and- breakfast basis. Although it can be customized by request to accommodate your specific needs. The above itinerary is only a guide line; it might change due to fluctuating weather conditions, availability of lodging and campsites, unforeseen political, trail and environmental or any other factors beyond our control. In this happen, your Nepal Everest Base Camp Trekking Company guide/leader will choose the best way to the final decision on the best alternative after consulting with the group. Day 02Kathmandu City Tour Today you visit different historical and cultural sites of the Kathmandu valley with our guide. In the morning after having breakfast you go visit Buddhist and Hindu temples Bouddhanath, Pashupatinath, Swayambhunath, which reflect the local culture and tradition of Nepalese society. Then in the afternoon you visit Kathmandu Durbar square and Patan durbar square. In the evening you will return to the Hotel. Day 03Katmandu to Lukla - Trek to Phakding (2700m.) In the morning you have a scenic flight of 30 - 35 minutes to Lukla (2800m.) from Kathmandu. During the flight you can see the snowcapped mountains and greenery field below. From Lukla we start our walk and head to Phakding passing through the forest and following Dudh Koshi River. In Phakding you can climb to the Gompa to see your first view of the high peaks. O/N at Lodge. Day 04Phakding to Namche Bazaar (3440 meters) From Phakding the trail follows the Dudh Koshi River and reaches Zamphuti. From there we can see excellent views of Thamserku peak. Then the trail climbs to Chomoa, the site of an agricultural project, an interesting place to have a look around and gain an insight into the farming way of life of these people. From Chomoa, the trail again climbs to Monjo (2840m.) and enters the Sagarmatha (Everest) National Park (1148sq km, established in 1976). Walking some distance uphill you will be at Jorsale (2830m.) and after a long climb with views of Mt. Everest peeking over the ridge of Nuptse (7879m.) the trail reaches the street of Namche Bazaar. Overnight at Lodge. Day 06Namche to Tengboche (3860m.) This day we leave Namche bazaar and walk for some time along the ridge and then descend to Dudh Koshi River at Phunkithanka. Then after crossing the bridge we ascend in the steep path up to the Tengboche. On reaching Tengboche you will see the local monastery. Tengboche have largest Monastery of Khumbu region. Overnight at Lodge. Day 07Tengboche to Dingboche (4350m.) From Tengboche the trail drops to Debuche, crosses another exciting suspension bridge on the Imja Khola, and climbs to Pangboche amongst thousands of mani stones. Our uphill trek continues, taking us to the quaint traditional Sherpa village of Dingboche with its exquisite views of Lhotse, Island Peak, and Ama Dablam. We take our time so we avoid getting affected by the altitude. Overnight at Lodge. Day 08Acclimatization in Dingboche Today you can enjoy another day for acclimatization. We will have trip to Chhukung valley via the Imja Khola valley to get a marvellous view of the surrounding mountains, especially Lhotse’s massive south wall, then return to Dingboche in the evening. Overnight at Guesthouse. Day 09Dingboche Lobuche (4910m.) Today, the trail continues along the lateral moraine of the Khumbu Glacier and passes by stone memorials for climbers who have perished on nearby summits. We continue to climb as we are heading to the altitude of 4910 meters at Lobuche which is really just a few huts at the foot of giant Lobuche peak. Some breathing problems may arise today due to the altitude. Overnight at Lodge. Day 10Trek to Everest Base Camp (5365 m.) then back to Gorak Shep (5180m.) This is another big and difficult day walk along the Khumbu Glacier and up to Everest Base Camp at 5365meters, the closest you can get to Mt. Everest without mountaineering equipment. There will likely be a team there about to attempt the summit. The view of the Khumbu Icefall from Base Camp is spectacular. We return back to Gorak shep for the night. Overnight at Lodge. Day 11Hike to Kala pattar (5545m.) and back to Periche (4120m.) This will be one of the most difficult yet rewarding days of the trek. In the morning we climb Mt. Kala Pattar, a small peak. From Kala Pattar we can see the most magnificent mountain panorama of Everest, the highest point on the planet at 8848 meters, towers directly ahead and other giants, Nuptse, Pumori, Chagatse, Lhotse and countless others. We make a quick descent to Gorak Shep, a tiny hamlet at 5180 meters then trek down to Pheriche. Overnight at lodge. Day 12Pheriche to Tengboche (3860m.) We retrace our route back to Tengboche via Pangboche. Overnight at lodge. Day 13Tengboche to Namche (3440 m.) We descend on the steep path to the Dudh Kosi and then climb up to Namche Bazaar. Overnight at lodge. Day 14Namche to Lukla (2840 m.) Finally we return to Lukla where the trek began, which will seem like a lifetime ago. Enjoying time to reflect on the trek as a group and the personal achievement of all those who took part. Also giving you time to explore the town. Overnight at lodge. Day 15Flight to Kathmandu Enjoying your last glimpse of the mountains you have recently visited for one last time on the 35 minute Scenic flight back to Kathmandu. On arrival in Kathmandu we are met and transferred back to our starting hotel. Overnight at hotel. Day 16Leisure day in Kathmandu. It's also spare day in case of bad weather in Lukla. Day 17Departure. The trip ends, our Airport Representative will drop you to the Kathmandu International Airport for your flight departure from Nepal.